If you have a heavy mite load in the fall and choose to do nothing, you likely will not have to struggle with this decision the following summer. Gather all the info you can and rest well with whayever you decide to do. It was just researched wild colonies in UK and their life cycle and result was that no colony lived 3 winters. It means that there is no feral bees out there. They are escaped swarms. I read in either American Bee Journal or Bee Culture that any beekeeper who does not treat will not have any of his/her colonies live longer than three years - tops. I wish I remembered the author. But this goes along with what you write, Finski. I've been doing this only six years but from my experience, this seems to be true for me. I gove first time mite medicine Perizin to bees 1987. In my country hives die in second winter. It is fact. Michael has his own facts. But 2Sox has met this fact in his own beekeeping, and it is called experience. If he repeats the same system, it is called stupidity. "2Sox: I've been doing this only six years but from my experience, this seems to be true for me." â€¢Jointly published in the American Bee Journal and in Bee Culture, October 2012. The varroa mite (Varroa destructor Anderson and Trueman) is an ecto-parasite of the Western honey bee (Apis mellifera) and is distributed worldwide. Because A. mellifera colonies almost always die within two to three years after mite infestation, if not treated, feral bee colonies (unmanaged colonies in the wild) in U.S. were almost totally wiped out by this mite around 1995, less than a decade after it was introduced to the USA (around 1987). There is anecdotal evidence that honey bees might be becoming feral again in recent years (resistant genetics possibly leaking out due to swarming), but there is no systematic study proving this. Unless otherwise noted, throughout this paper I will use â€œvarroaâ€�, â€œvarroa miteâ€� or the generic â€œmiteâ€� interchangeably to refer to V. destructor. The varroa mite is currently the most severe pest of managed honey bees worldwide. Understanding the varroa miteâ€™s reproductive biology will therefore allow us to better manage this important pest. Varroa mites and viruses are the currently the high-profile suspects in collapsing bee colonies. Therefore, seasonal variation in varroa load and viruses (Acute-Kashmir-Israeli complex (AKI) and Deformed Wing Virus (DWV)) were monitored in a year-long study. We investigated the viral titres in honey bees and varroa mites from 23 colonies (15 apiaries) under three treatment conditions: Organic acids (11 colonies), pyrethroid (9 colonies) and untreated (3 colonies). Approximately 200 bees were sampled every month from April 2011 to October 2011, and April 2012. The 200 bees were split to 10 subsamples of 20 bees and analysed separately, which allows us to determine the prevalence of virus-infected bees. The treatment efficacy was often low for both treatments. In colonies where varroa treatment reduced the mite load, colonies overwintered successfully, allowing the mites and viruses to be carried over with the bees into the next season. In general, AKI and DWV titres did not show any notable response to the treatment and steadily increased over the season from April to October. In the untreated control group, titres increased most dramatically. Viral copies were correlated to number of varroa mites. Most colonies that collapsed over the winter had significantly higher AKI and DWV titres in October compared to survivors. Only treated colonies survived the winter. We discuss our results in relation to the varroa-virus model developed by Stephen Martin. Thank you for these articles. Excellent information. I believe the Huang article was one of those that I read. Since I know thousands of people keeping bees without treatments and they are not experiencing it, it is in my experience, an erroneous belief based on their experience keeping commercial stock on large cell comb. I personally don't know thousands of any people, let alone beekeepers of a very specific stripe. I think I know, actually know, maybe two dozen beekeepers. I've shook hands or spoken with less than a hundred, counting all the meetings, fairs, and conferences I attended in Ohio (which is a huge beekeeping state), and except for the ones that have written books or articles I can't honestly say I know which of them keep bees any whichaway. I'm not exactly sure I understand what you mean above. Just to be clear, are you saying that these thousands of people you know who are treatment free, do NOT lose their new colonies three years after they have been established? Where is the data to prove this? Or is this anecdotal again? Again to be clear:Why would you call this an "erroneous belief"? It's my understanding that this, "three-years-and-it's-over", has been researched and presented. Edit: My yard was all from swarms and cut outs and I use all foundationless frames. Does that mean my bees should be doing better because they are all on natural cell? This is not good logic. I'm neither advocating nor dismissing. I would just like people to back up what they say with factual evidence. If it's "experience" it should be clearly stated. "I know thousands of people who" is not fact. It's hearsay. Where are the controlled experiments? Or maybe you only wanted to state your opinion on this issue, which is just fine. 2sox, out of curiosity, how long did you keep bees treatment free and how did the bees fare in general, both health- and winter survival-wise? I never treated my bees with anything since I began. As I see it now, they could have done MUCH better had I treated. I'm building up my bee yard with cut outs and swarms this year - as I always have. I will - without a doubt - be treating all my hives henceforth. I'll rotate treatments each year. How is possible to know thousands of beekeepers? Why US universities do not recommend do nothing treatment? NO wonder that winter losses are so high. That is what researchers are saying. There are mite tolerant bees too in Europe in several countries. Problem is that varroa and colonies' selfprotection destroyes so much brood that colonies are not good as honey producers. USA has most "mite tolerant queen breeders" but the most huge hive losses in the world. How is that! We document the ability of a population of honey bee colonies to survive in France without Varroa suppression measures. We compared the mortality of collected Varroa surviving bee (VSB) stock with that of miticide-treated Varroa-susceptible colonies. Varroa infestation did not induce mortality in the VSB colonies. Some of the original colonies survived more than 11 years without treatment and the average survival of the experimental colonies was 6.54 Â± 0.25 years. Swarming was variable (41.50 Â± 9.94%) depending on the year. Honey production was significantly higher (1.7 times) in treated than in VSB colonies. For the first time since Varroa invaded France, our results provide evidence that untreated local honey bee colonies can survive the mite, which may be the basis for integrated Varroa management. WE use Fumidil B against nosema and it rises yield on average 20%. What about medicine which add yield +70%!!! If you calculate a profit from that honey volume, it may be many fold compared to untreated. Propably in untreated hives there is no profit and your beekeeping is soon in bankrupt for varroa. Let's imagine that production cost is 80 money and in untreated hives incomes are 100 money. According this profit is 9-fold in treated hives. - It means that you earn with 10 hives as much as 90 untreated hives. Impossible figures but it tells that do nothing treatment does not work in honey business. >I'm not exactly sure I understand what you mean above. Just to be clear, are you saying that these thousands of people you know who are treatment free, do NOT lose their new colonies three years after they have been established? I am on many forums. My web site gets 4,000 hits a day and those people write me. Often. Dozens of emails a day sometimes. There are 5,352 members on the yahoo Organic Beekeepers group alone. I am not in correspondence with all of those people, but I am in correspondence with probably a couple of thousand people. I get dozens of emails everyday from successful treatment free beekeepers. Do they every lose hives? Of course. But most of the colonies are surviving and they are making up their losses with splits or cutouts. >Where is the data to prove this? Or is this anecdotal again? >Again to be clear:Why would you call this an "erroneous belief"? It's my understanding that this, "three-years-and-it's-over", has been researched and presented. Not on small cell comb. I know of no study on small cell that has lasted even one year and only one that resembled the protocol that small cell beekeepers are following successfully. > Edit: My yard was all from swarms and cut outs and I use all foundationless frames. Does that mean my bees should be doing better because they are all on natural cell? In my experience, yes, they should be doing better. Unfortunately, last winter was hard on everyone, treatment free or not, and I don't think it was Varroa. I don't see more than a hundred or so dead Varroa on any given bottom board on any of my dead hives. >This is not good logic. Some of these microorganisms are necessary for the very life of the bees, in particular the ones that ferment the bee bread. Others of them protect the gut of the bee from Nosema and suppress the propagation of AFB and EFB and these are all killed by antibiotics including fumidil and terramycin, but also organic acids will disrupt that is in their gut. This is considerably shorter than what is now stated and is consistent with my observations (if not a bit shorter) and this would explain a huge difference in the success of Varroa reproduction on small cell compared to large cell. >I'm neither advocating nor dismissing. I would just like people to back up what they say with factual evidence. If it's "experience" it should be clearly stated. "I know thousands of people who" is not fact. It's hearsay. Yes, it is my experience and the hearsay of thousands of other people. >Where are the controlled experiments? 1604 "A Counterblaste to Tobacco" is written by King James I of England and he complains about passive smoking and warns of dangers to the lungs. Many influential and intelligent people pointed out the dangers over the years, but it was not proven that there was a connection between smoking and lung cancer until 1953 when Dr. Ernst L. Wynder uncovers the first definitive biological link between smoking and cancer. When would you stop smoking? 1604? Or 1953 when controlled experiments finally proved it? I've been not treating for more than a decade. Dee Lusby has been not treating since the Tracheal mites back in the 80's. Plenty of others are not treating and many of them for as long as a decade as well. No that is not a scientific study. 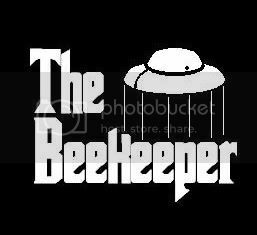 We are just beekeepers.